Holder of an engineering degree from the Ecole Nationale Supérieure de Chimie de Paris (ENSCP), Larry ABENSUR also holds an MBA from INSEAD. For 9 years, he held various marketing positions in the pharmaceutical industry, as a Product Manager for biosynthetic human insulin at Eli Lilly, then as a Marketing Manager at UPJOHN France. For 6 years, he then took over the general management of PBS Orgenics, a player in in vitro diagnosis until its merger with Self Care (INVERNESS) and the introduction on the Nasdaq. In 1993 and 1994, Mr. ABENSUR successively co-founded the All Diag and Dectra Pharm companies. In 2005, Larry ABENSUR participated in the creation of BIOSYNEX of which he will co-manage until October 2010. Since June 2015, Larry ABENSUR has been at the initiative of the creation of the BIOSYNEX group, the medtech leader in rapid diagnostic tests (RDTs), in which the currently holds the position of Chief Executive Officer. After a first and a second cycle in pharmaceutical studies at the University of Paris V, Thierry PAPER completed a MBA at the Ecole Nationale des Ponts et Chaussées. 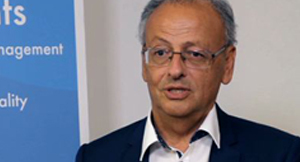 He also holds a D.E.S (Diplôme d’Etudes Spécialisées) in medical biology from the University of Paris V.
Intern in Pharmacy until May 1990, Thierry PAPER first joined the Israeli company Orgenics, where he held the positions of Project Manager and Marketing Manager. Between 1993 and 1997, he was in charge of the development of the French company Matara. From 1997 to 2005, he was an Assistant Director of the J-P Accary medical analysis laboratory. He was also a manager of Axodev, a business development services company for the in vitro diagnostics industry. In 2005, Thierry PAPER participated in the creation of BIOSYNEX, of which he held as general and operational director. In June 2015, he became a Deputy Managing Director of the BIOSYNEX group. Graduate from an Agricultural Engineering program, Thomas LAMY also holds a PhD in Engineering from the National Polytechnic Institute of Lorraine since 1986. He also completed an MBA at the Ecole des Hautes Etudes Commerciales (HEC) in Paris. After 4 successul years in sales and marketing at Baker Instrument (a subsidiary of Johnson & Johnson), he joined the sales department of PBS Orgenics (a player in in vitro diagnostics), a player in in vitro diagnosis, until its merger with Self Care (INVERNESS). Thomas LAMY co-founded the All Diag and Dectra Pharm companies with Larry ABENSUR and served as CEO of All Diag from 1993 to 2015. In 2005, Thomas LAMY also participated in the creation of BIOSYNEX and actively contributed to the development of the company’s activities. Thomas LAMY has been a Deputy Managing Director of the BIOSYNEX group since 2015. Holder of an engineering degree from the Ecole Nationale Supérieure de Chimie de Paris, Larry Abensur also holds an MBA from INSEAD. For 9 years, he held various marketing positions in the pharmaceutical industry as Product Manager Insulin Human Biosynthetic at Eli Lilly, then at UPJOHN France as Marketing Manager. He then took over the management of PBS Orgenics, an in vitro diagnostic player, for 6 years, until the merger with Self Care (INVERNESS) and the introduction on the Nasdaq. In 1993 and 1994, Mr. Abensur successively co-founded the companies All Diag and Dectra Pharm. In 2005, Larry Abensur participated in the creation of Biosynex which he will take care of the co-management until October 2010. 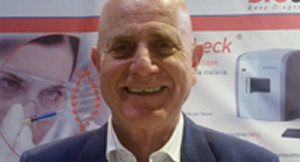 Since June 2015, Larry Abensur is at the initiative of the creation of the group BIOSYNEX, medtech leader in rapid diagnostic test ( TDR), in which he holds the position of Chief Executive Officer. After a first and a second cycle in pharmaceutical studies at the University of Paris V, Thierry PAPER completed an MBA at the Ecole Nationale des Ponts et Chaussées. He also holds a D.E.S. of medical biology of the University of Paris V.
Internal in Pharmacy until May 1990, Thierry PAPER first joined the Israeli company Orgenics, where he held the positions of Project Manager and Marketing Manager. Between 1993 and 1997, he was in charge of the development of the French company Matara. From 1997 to 2005, he is Assistant Director of the J-P Accary Medical Analytical Laboratory. He is also manager of Axodev, a business development services company for the in vitro diagnostics industry, since 1997. In 2005, Thierry PAPER participated in the creation of Biosynex, which he holds as general and operational director. In June 2015, he became Deputy Chief Executive Officer of the BIOSYNEX group. With a degree in agricultural engineering, Thomas LAMY also holds a PhD in engineering from the Polytechnic Institute of Lorraine, obtained in 1986. After 4 successful years in sales and marketing at Baker Instrument (a Johnson & Johnson subsidiary), he joined the sales department of PSB Orgenics (in vitro diagnostics player) until it merged with Self Care (INVERNESS). .
Thomas LAMY co-founded the companies All Diag and Dectra Pharm with Larry Abensur and served as Chief Executive Officer of All Diag from 1993 to 2015. In parallel, in 2005, Thomas LAMY took part in the creation of Biosynex and actively contributes to the development activities of the company. 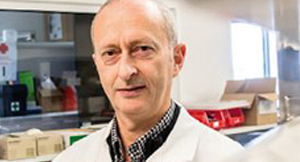 In June 2015, Thomas LAMY becomes Deputy Chief Executive Officer of the BIOSYNEX group.